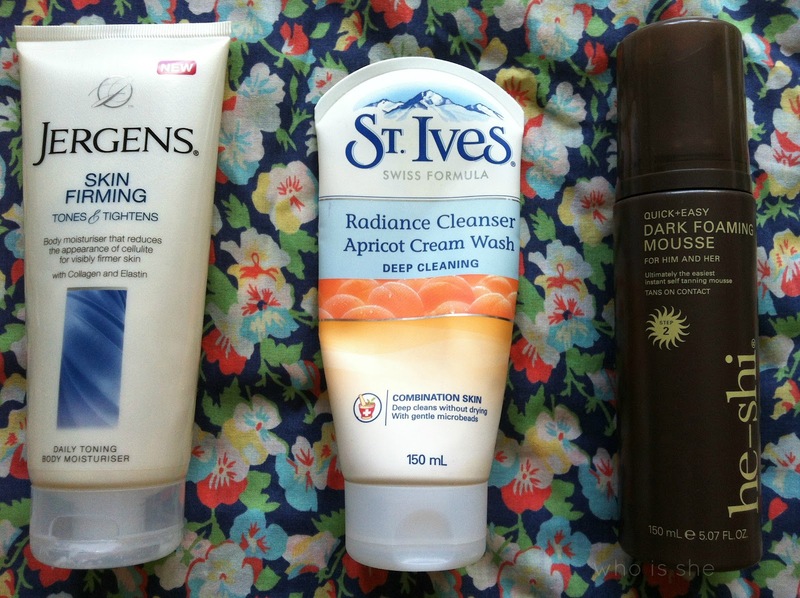 After the wonder that was using some make up products up last time I'm back to square one I'm afraid, its all about the skin and body care again this time around...however there will be some make up products for definate in the next round up of empties. Jergens Skin Firming Body Moisturiser* - I recieved this as a sample and have previously reviewed it here. I've really enjoyed using this product up and unlike other body lotions I got through this very quickly. Its not too heavy on the skin and absorbs straightaway. Personally I don't believe it has any effect on toning and tightening however it did a good job of moistursing the skin. 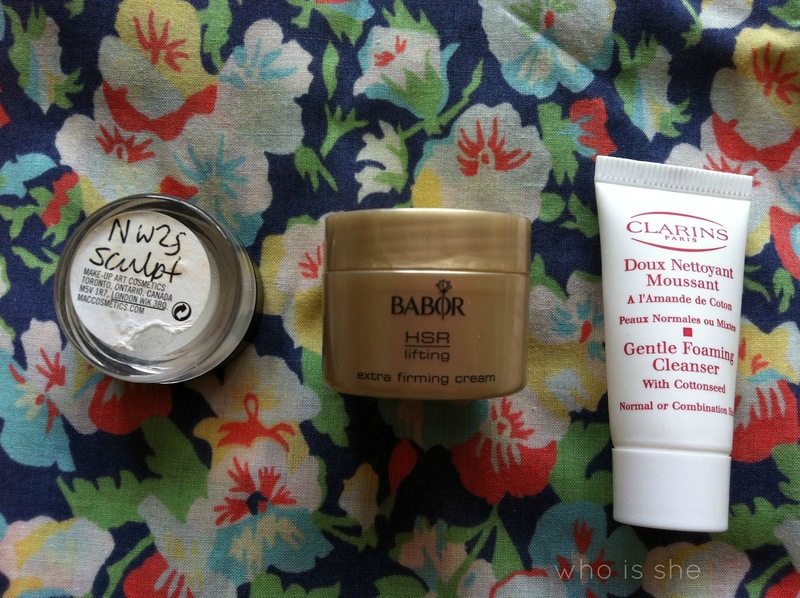 I would repurchase but it would be another product from the range. St Ives Deep Cleaning Apricot Cream Wash-horrible horrible wash, says it doesn't dry the skin out but it does. Glad to get rid of it, yet I would rather throw away the £4 to buy this than repurchase. He-Shi Dark Foaming Mousse - I initally recieved this to review and have purchased it numerous times. Personally I think this is a fab colour for your legs but not for your body. I think the love affair with He-Shi is over and I've reverted back to St Tropez. Review can be found here. I won't be repurchasing this. 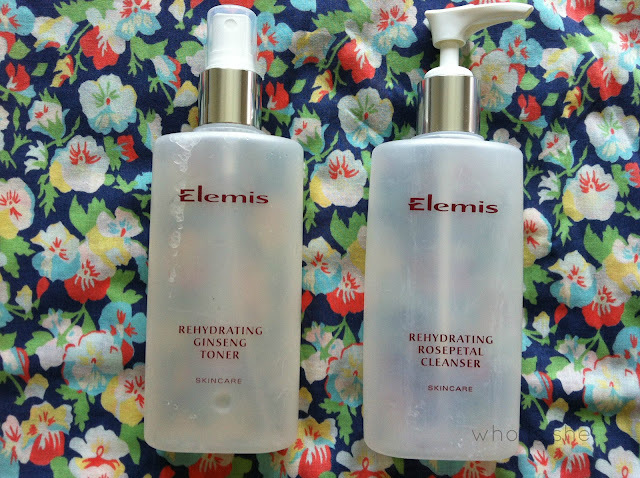 Elemis Rehydrating Ginseng Toner and Rosepetal Cleanser- I got these in a set from Bannatyne's Spa with Holly for £25 last September and I finally finished using them a month ago. Even though I am not keen on the scent of roses I really enjoyed using the cleanser. I would definately repurchase both if they were in a set, however if not I would definately buy the Ginseng toner. I've since recycled this bottle to decant my Liz Earle Toner. Review on these can be found here. 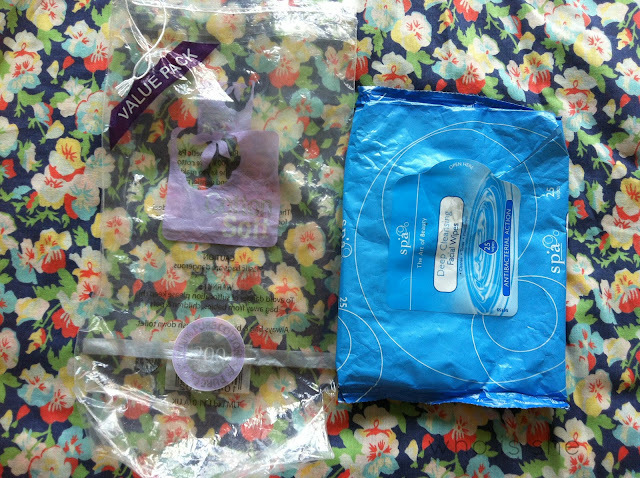 Cotton Wool and Make Up Wipes- these feature time in time out- you know by now I'll continue to buy them. Mac Studio Sculpt Foundation- I've had a couple of these testers lying about and I've managed to use up another one. Normally I get 3-4 full face applications from a sample tub from Mac. I've already repurchased this full sized and I'll be keeping the pot to depot Creme Cup lipstick into it. Babor Extra Firming Cream- I recieved this ages ago from the former Boudior Prive box and its been a nice little sample pot to keep to use when I've been stopping away from home. Personally I saw no difference in my skin from using this and I won't be repurchasing- I'll be keeping the pot for depotting some eyecream sachets into. Clarins Gentle Foaming Cleanser- just amazing- I have the full size tube of this now, so expect a review shortly.